This week the guys at "Night Views" are chatting with the host of Yahoo! TV's "Primetime in No Time" and former host of "Street Smarts", comedian Frank Nicotero. 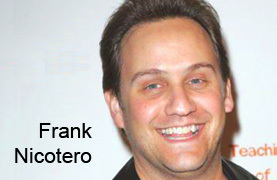 Frank will be talking about his career as a successful comedian and television host as well as his current Yahoo! TV show.